Spreading a little joy to people within our communities matters! We are committed to making products that make life easier for people so they can spend time doing what really matters—being with family and friends. This commitment leads us to maintain strong connections to the communities where we do business. We believe great communities are the foundation of great business. As a result we strive to work with other organizations to create a better community, creating a “collective” impact, first focusing on the social safety net to support the health and wellness needs of area residents, then helping to provide safe and affordable housing to best support youth and education development. This approach allows us to prioritize partnerships where we can track results and leverage our funding for maximum impact. These include United Way®, Habitat for Humanity®, the Boys & Girls Clubs of America® and Instituto Consulado da Mulher®. We partner with United Way across the U.S. to fund thousands of organizations and causes within our communities that focus on education, income, health and basic needs. Our current and retired employees participate every year in raising funds for local United Way campaigns in their respective locations. The Whirlpool Foundation offers a dollar-for-dollar match on contributions made to these campaigns. Join us as we continue to support the merits of a quality education, help families achieve financial stability and promote healthy lives. In more than 19 years of partnership with Habitat for Humanity, Whirlpool has developed active programs in more than 45 countries with a commitment of more than $107 million. In the United States and Canada, the company has donated more than 197,300 ranges and refrigerators to new Habitat homes, serving more than 104,000 families. Additionally, Whirlpool has donated more than 42,000 products to Habitat ReStore retail outlets. The company has engaged thousands of employee volunteers, sponsored nearly 190 homes and donated products to more than 76,000 Habitat families Europe, Middle East and Africa. Whirlpool plans to support the work of Habitat around the world through product donations, financial contribution and/or volunteerism. 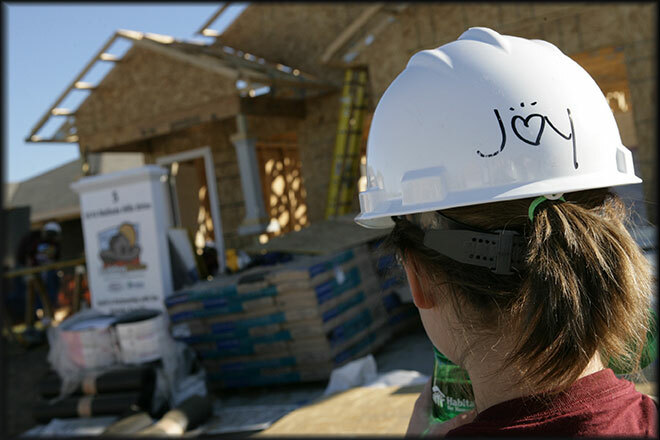 If you’d like to join forces with Habitat for Humanity and Whirlpool brand, learn more here. In 2010, Maytag brand teamed up with Boys & Girls Clubs of America (BGCA) as a commitment to youth and communities. The partnership seeks to recognize and promote dependability—a core quality for both that should always be recognized. From this partnership, the Maytag Dependable Leader Awards were created. These awards support the Clubs helping young people succeed for life. To date, Maytag brand has donated more than $7 million to help enable young people most in need to achieve great futures as productive, caring, responsible citizens. Dependability is always welcome, get involved here. +6,000 Whirlpool employees who have volunteered with Clubs across the U.S. In 2002, the Instituto Consulado da Mulher opened to improve and empower the lives of low-income women in Brazil. We leverage our global presence to eradicate poverty and promote gender equality. Offering workshops, classes and other education, as well as donating appliances and resources sustains families and helps more women and children to achieve an improved social position. With our reach and resources, the Instituto Consulado da Mulher offers small business cooperatives designed to develop the entrepreneurial and employment skills of low-income women, while also providing their families with a steady income. To date, more than 34,000 women have felt the positive impact of this program. If you would like to help empower equality in South America, get involved here. Whirlpool Foundation addresses community issues through partnerships and collaboration to make the biggest impact with the resources at hand. More than half a century ago, Louis and Frederick Upton, two of our founders, established Whirlpool Foundation and made a commitment — a promise — to reinvest in the community. They intended to provide financial and leadership support for nonprofit organizations dedicated to improving the quality of life in the communities where we operated. Whirlpool Foundation keeps that original promise, using new and innovative ways to make lasting impact on society, with an emphasis on the communities in which we live and work. Our employees have opportunities to engage with community members and organizations to make our communities better. Whether it be serving a warm meal on a cold winter day, mentoring a young child who had lost their way or building a house that becomes someone’s home, our employees continually go above and beyond the call of duty, volunteering their time. In addition to traditional volunteering, we introduced a program focused on employees who participate in skills-based volunteer opportunities. These “Whirlpool Ambassadors” represent our company by serving on boards, speaking about social responsibility at conferences, offering financial assistance to non-profit organizations and so much more.